Do You Have Misshapen Teeth? Let’s face it—misshapen teeth can sometimes make you think twice about flashing those pearly whites. With the right treatment from our dentists at Battery Hill Dental, we can give your teeth a better, more even look. Visit Battery Hill Dental, your local Currimundi dentist, for help. Teeth can be misshapen or assymetrical for many reasons. In fact, teeth can develop an irregular shape even before you were born. Genetic factors can also cause your teeth to be smaller than normal or grow unevenly. Cracks and fractures can also make teeth look out of shape. Whatever the reason, the result is always the same, an uneven smile. Due to genetic factors, your teeth may grown out smaller than normal and as compared to the rest of your teeth, causing an assymetrical look to your smile. Your teeth may grow too big, which can cause overcrowding. It can also grow too small. Resulting to gaps between teeth along the gum line. This abnormal growth can develop even before you were born. A cracked or broken tooth, especially on the front teeth, can be distracting. This is usually caused by biting on hard food, using teeth to open packages, blows to the mouth, and accidents. Misaligned teeth, especially when the timing of your baby teeth falling out before your adult teeth come in, can cause you to have teeth that crown crookedly along your gum line. Untreated, plaque can get trapped in the crevices between your teeth. At Battery Hill Dental, we’re all about making sure your teeth don’t just look health, they feel healthy too. And fixing misshapen teeth can help you achieve a more attractive, healthier smile. Not only that—you’ll bite, chew, and speak better too. Check out our prices for misshapen tooth solutions. Tooth-coloured restorations such as composite resin and porcelain can be used to bond on your misshapen teeth so they will look more even. These restorations also flawlessly blend in with the rest of your teeth. Veneers are thin, tooth-coloured porcelain shells that we can bond on each of your misshapen tooth so your teeth will look more even. Dental crowns are great for covering the cap of your misshapen tooth so that you can achieve normal appearance and function to the tooth. Uneven, misshapen teeth can distract people from your smile. It can also put your dental and overall health at risk. 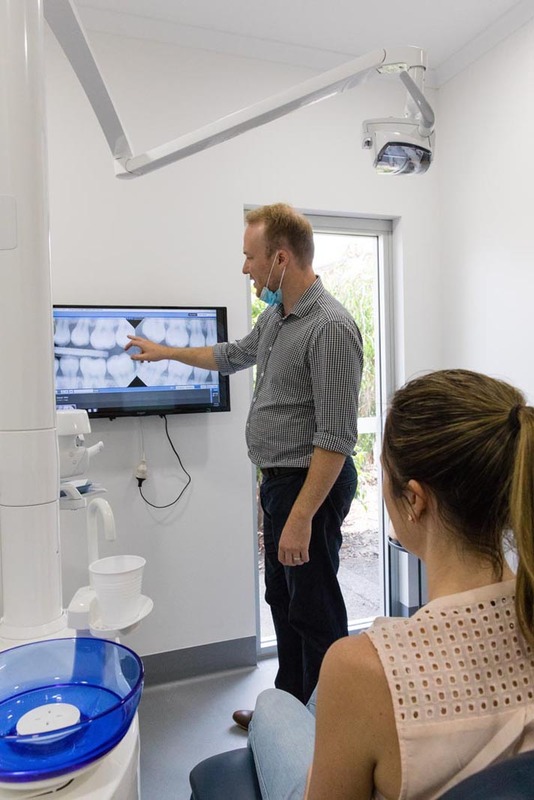 To improve your dental health, schedule a consultation with your friendly Sunshine Coast dentists today.